A computer screen no longer separates the viewer and popular YouTubers. Live events are becoming a huge business for the online video industry as companies look to expand the relationships that many stars have with their online fans. 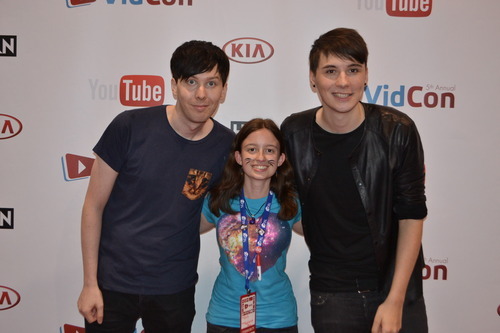 VidCon is a prime example of the popularity of YouTube meet-and-greets. Last year many guests only came for certain creators, waiting hours just for a quick photo and a chat with their idol. This portion of the convention was so popular and controversial that organizers changed the format for the 2015 event. The plan to continue these meet-and-greets in other formats really displays how eager companies are to exploit the popularity of these stars. To be fair, fans who cannot make it to VidCon do still want to meet their idols. This desire definitely creates an opening in the YouTube market that’s allowed for events like Amity Fest, Summer in the City, and DigitTour to exist. VidCon definitely remains the premiere event of this type for the industry. Provided they expand next year (they capped the event this year at 20 thousand attendants, same as last year), I don’t ever see this status changing. Outside producers like DigiTour and Amplify, which tour a selection of YouTube creators, MCNs are also launching their own events. Fullscreen, for example, opened its first live festival last September featuring their signed stars: Connor Franta, Ricky Dillon, and Sam Tsui among others. This quickly expanding company also acquired the extremely successful channel Rooster Teeth, which already produces a major fan expo of its own. These types of events can draw up to 20 thousand fans willing to pay the large entrance fee for the chance to interact in real life with their favorite online figure. Ticket prices can range from $40 for a general ticket up to $350 for VIP and backstage access to the main event. Some tours also include the option of a meet-and-greet and after party, which, as you would figure, sells out quickly. 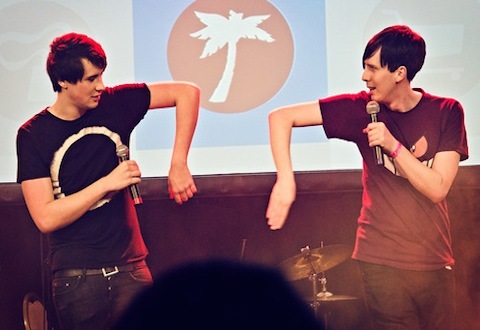 The main two YouTube tours are Digitour and Playlist Live. They go to dozens of cities, some major some not, bringing a mix of YouTube musicians, personalities, and an odd assortment of other non-YT acts (Demi Lavato is performing at DigiFest NYC) Depending on the location they can have up to 20 thousand attendees. Of these fans, most will be teen and pre-teen girls. It’s absolutely a given statistic in YouTube culture and subsequent conventions. According to this article, girls outnumber boys eight to one at DigiTour events. DigiFest and DigiTour are almost synonymous, but they differ in that DigiTour occurs over 15 cities and 4-8 stars while DigiFest is a one day festival with 20 or more stars. This format of event leads to various ticket options from general admission to paying for a private meet-and-greet to the $323.05 VIP Gold Ticket with includes a seriously large amount of perks. Playlist Live on the other hand only travels to Washington DC and Orlando, FL. These two events, while fewer than DigiTour, take place over three days. It’s essentially DigiFest on steroids. At these two locations, fans can experience a smaller and closer VidCon. It’s common to hear from someone who cannot attend VidCon due to distance or money say that they will attend one of the two Playlist Live events instead. From my research for this article, it definitely seems like Playlist Live leans more towards the YouTube side of things rather than the all-encompassing online video focus of DigiTour. Overall, the emergence of these live events prove that there is a market for bringing YTers into more public events. Meet-and-greets are definitely a huge money maker for companies. DigiTour, Playlist Live, RTX, and similar events show that fans pay a range of fees from minimal to exorbitant all for access to the creators they love.